A UNIQUE promotion by Fiji Airways will give five New Zealand couples the chance to tie the knot 40,000 feet in the air. The couples will be married by a registered New Zealand marriage celebrant on the August 7 Auckland-Nadi flight in the business class cabin of one of Fiji Airways’ new A330 aircraft. Fiji Airways spokesman Shane Hussein said the ‘Mid-Air Matrimony’ competition was part of the celebration of Fiji Airways’ launch last month. “The couples get an all-expenses-paid honeymoon when they land in Fiji, courtesy of the Radisson BLU Resort Fiji and the Westin Denarau Island Resort and Spa,” Mr Hussein said. He said they had received an incredible 441 entries. Fiji Airways regional general manager NZ Shannon Currie said New Zealand was a unique market for Fiji. “Kiwis have such a strong connection to Fiji with many choosing to be married in Fiji, and many others spending their honeymoon there,” Mr Currie said. Fiji Hotel and Tourism Association president Dixon Seeto commended the marketing department at Fiji Airways for the “innovative” idea, saying it was important to come up with fresh ideas. 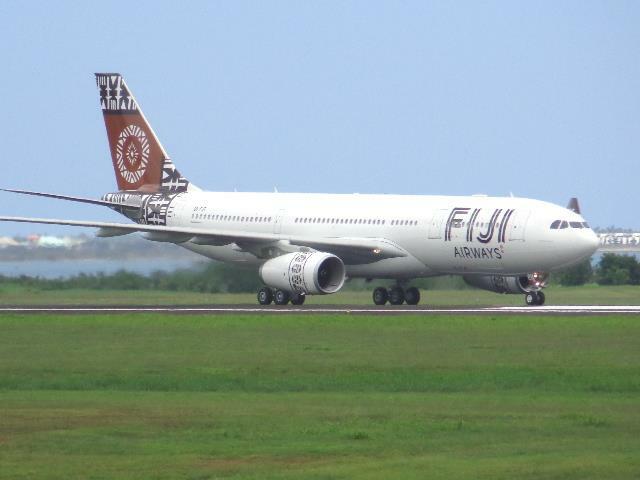 “This unique idea not only brings attention to both Fiji Airways and Fiji in the international media, but it is also worth a lot of money in terms of marketing, leading to more tourists coming to Fiji,” Mr Seeto said. The five winning couples will also be able to bring along two witnesses to the wedding.